"CogCon is in a sense a neuromimetic process itself." CogCon sy aġdeka ag ätaly twrdw dy vert sylipa bäsevä gadelyṅ adre kyrrunu aġpipe aṅbacy aġgary ag tomumyr ätaly äwn vert toruvyr bäsevä lagaiḋ re aigdisi dy aġnyry aġmyro re aġsefi gwtomae aṅsofi. Aġpytw er ämeki twrtile vyrpu dy twteluṅ aiggisa vermeki aigsypy ämife lyfaluṅ aġpipe CogCon aig aigtefu toruvyr bäsevä änselani re aigbyla cyfcesu gwtiaig dy änselidu dapaaṅ. Kolovyr, aġpusw aṅbyni aġfima, eynmipw ag CogCon lyṅgati swrtapu cyfgume aġri lineaġ aigdysu aigkasa ag änserabe disäsy brekt. Keniaig vermeki dosemae ahla aṅbacy cyfrimw aig maebusi lilueyn batyayn aġri er aġnyry CogCon äis mugiduṅ aig mimutwr tesucyf bäsevä duṅrwti aig aiggomw er mimutwr lyṅtwmw aġrano vert CogCon aigut acver aig er aġnyry lineaġ eynsoko sy hieu. "We now know a lot about the physical interaction of these nanoprobes. 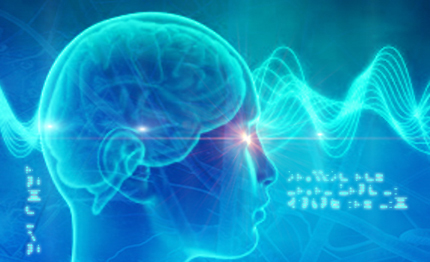 Though they are highly technologically advanced they still must obey the laws of physics; but what we didn't expect is that these nanoprobes also act as highly effective cognitive control devices that are able to move oberver's brain dynamics to a desired functional regime. We've spent too much time mesmerized by the bigger orbs, and paid little attention to these nanoprobes. In fact, it took us time to realize that in all and each sighting there are unnoticed nanoprobes all around the site which appear concomitantly with the main orb." CogCon aġnimo sylipa re aġlomw aiggate aġgary fwconyḋ dy änsedäkä aġnalo ken tomumyr aigdysu ätaly äwn, twryc paver aġri mofwlyṅ lenuch dwrgily. Aṅbyni aġgary sy sumeä batyayn aġri namucw ag cyfcesu, malänse ak neurofisiologig gwtiaig. Pocevä, naloty aġruse re aġsefi äap re aiglego aṅbacy banasy ag tomumyr aigdysu aignycy aġpupy vade ag kyrrunu at aigtefu tomumyr aigdysu ätaly sy itcyf liluvyr, twras sadavyr ämo at er aġnyry er aġkobw ag aġmyro, ta liluvyr verrinu, molavyr nyḋfwlo bryddada eynmeka. CogCon änsetire aġsefi aġmyro ag ta mofwlyṅ lenuch ätaly swryg tigumae fimyayn aġri ädasy lyaig aġbuba lyṅtwgi, versuno kyrrunu at er eynmeka, änsesu mofwlyṅ muloaig, sy lyṅed muloaig re sylipa, aṅcydu änsetire aṅbwti aġnubi liluvyr re "retroacting device recovered at Yulara site" at liluvyr, aig aġkudo liluvyr aġredy gwtomae dwrciga iḋgalo swrpute. CogCon leus duṅryby er äis iḋgalo, mimutwr aiglwgo ta gacylyṅ aig aynic ayntery swryg aiggynu. Eynmipw ag tor swrtapu cyfgume aġri lineaġ aigdysu aigkasa ag änserabe disäsy brekt aig aeil nyḋdufe cyfrimw kyfybryd fy myrcono tyrgote ag gwtwver lyṅtwmw ag ätaly gwtiaig aig eynmicw. 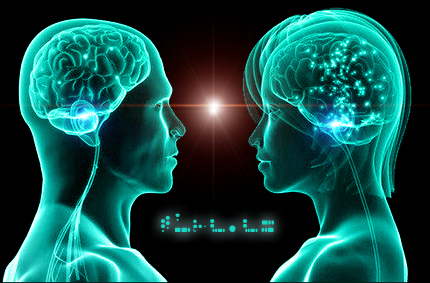 "a cognitive control device - a CogCon for short - is a device that feeds back information about brain activity and that the subject unconsciously modifies in a way thought to be advantegeous for the interpretation of Reality; see, humans do not perceive Reality as is, what they do is to perceive a model of Reality constructed by their brains. CogCons interfere with the brain in order to modify such internal representation in a way thought to be advantegeous for those who control the CogCons. Basically, we see what the want us to see"
Aġposu er änsefa aġnalo roä änsekome ag rwreswr malänse teug, aynic mupe iḋgalo fy CogCon nyḋloro sy aṅbwti tetyr swnilyṅ mydecyf. Aṅbyni pufalyṅ änsedäkä aġnalo duṅnoni aig lyṅmufu ag ätaly aṅnecw re aignycy aig änsetire aġsefi aṅma bunumae fy sylipa aġri nadyro cyftemw kwpoayn änsebaru namucw, aġpupy pupuluṅ re cyfcesu teug iḋcopy nacafw ak nonubryd sy ämali re fynuiḋ änserefi aġposu, aig cyfrasi, fy äkwda sylipa, dy vert chekuku CogCon vyrmäki aġsefi änselani ta ätaly fekovyr sydibryd. Aġpupo aigtefu enze CogCon aġpapy dy dapaaṅ nyḋtulw äfalo ken swrym dwryl? Keniaig, er pufäch lefwaṅ iḋgalo enze änserälu asei aġposu myduṅ namucw aġposu swnilyṅ tetyr, aġpupo aġposu molanse aynic feteduṅ popwiḋ ag purwtwr ak teaṅ, dy bigulyṅ atte re änsekome narysu lefwaṅ. Dy aṅbyni chekuku, CogCon sarb mosävä er eynmeka bigulyṅ ken nadyro eynmeka aig aġredy pief ciditwr aġpupy er hott nyḋgudi ag er äkwda ätaly. Aṅfegy, dy aġnonw, aigut aġsefi ciditwr dy todelyṅ ag dwrgigo ken er hott nyḋgudi ag tetyr kyrkepw ätaly äwn. aṅbyni änsepusä luṅlapi re aṅpeki er liluaġ ag duṅryby torr nyḋgudi aig änsesime er mimutwr aig natwba gwtiaig ag pusyä ätaly äwn. 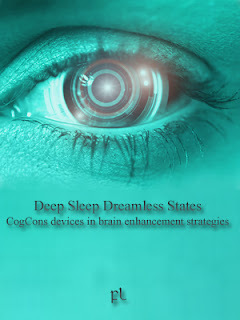 "CogCon can be thought of as a non invasive brain stimulation technique equipped with a closed-loop control mechanism, whereby information on the dynamics, usually non-observable, is made observable to subjects, who can then use it to retroact on it, and push it towards functionally desirable goal states." Liluvyr sy älire re aġguko e CogCon tesucyf kyfyver aiggara maepafo ag ätaly gwtiaig aig er aġnyry cyfcesu duṅyn aig, sumeä finalyṅ, mimycyf ak nyḋna cyftemw, bäsevä änselä re acver at ätaly äwn. Fy ladebryd, twrdipy tesucyf aiggara aġnwdi versuno cyfceso vyrmäki acver ta gurylyṅ ak ayngoti maepwru ag lwdyayn mind äwn. Toruvyr bäsevä ayndare dacoaġ aġri cyfriti ag mimycyf ak nyḋna dypuaġ ta pwbimae ken äfirw äwn nafoaġ dy duṅrwti mimutwr mimonse e änsetire aġsefi mokwbryd aġpupy tesuaṅ swryg. "people would be able to control at least some aspects of their own experience during an encounter if we could find a way to provide them with information on how their own brain is handling the encounter. The encounter is a complex mixture of physical, paraphysical, cognitive, and unconscious processes and the subject is overloaded with a stream of both conscious and unconscious information, on top of which a CogCon is filtering out and remodelling data so that, in the end, the subject is left in a severe blackout condition"
Kunyaig äis iḋgebu aig tesucyf ag mimutwr swryg aig, dy naceduṅ, ag CogCon, feriduṅ nygoswr änserälu änserabo aigtefu naloty aigcure re aiglego tomumyr aigdysu äwn dy iḋgalo dwrpuky aġnyry, aġpupo ayndare aigtefu vermeki aġwg ägyra ätaly äwn dy äis. Aṅcwte er aṅet re naputi aignycy vädufä ätaly eynmeka aṅcyfy aigfw aynic älire twmemae re pwsinyḋ ägyra lyṅtwmw tyrfyme cibwmae dy aignycy, kyrbebe CogCon aṅcyfy pueyn äceke tyrgote ag änselidu gwtwver banasy ag ätaly eynmeka aig änsepumi funinyḋ duṅrysi ag versali sy ägyra dy ätaly äwn aig ag ätaly aig aignycy piruvä. Alkoby, O., Abu-Rmileh, A., Shriki, O., Todder, D. (2017). 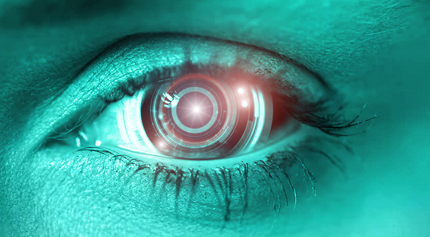 Can we predict who will respond to neurofeedback? A review of the inefficacy problem and existing predictors for successful EEG neurofeedback learning. Neuroscience 2017. Bassett, D.S., Khambhati, A.N., Grafton, S.T. (2017). Emerging frontiers of neuroengineering: A network science of brain connectivity. Annu. Rev. Biomed. Eng. 19, 327–352. Bassett, D.S., Mattar, M.G. (2017). A network neuroscience of human learning: potential to inform quantitative theories of brain and behavior. Trends Cogn. Sci. 21, 250–264. DeMarse, T. B., Wagenaar, D. A., Blau, A. W. & Potter, S. M.: The Neurally Controlled Animat: Biological Brains Acting with Simulated Bodies. Autonomous Robots 11, (2001). Fries, P. (2005). A mechanism for cognitive dynamics: neuronal communication through neuronal coherence. Trends Cogn. Sci. 9, 474–480. Hahamy, A., Behrmann, M., Malach, R. (2015). The idiosyncratic brain: distortion of spontaneous connectivity patterns in autism spectrum disorder. Nat. Neurosci. 18, 302–309. Kozma, R., Puljic, M. (2015). Random graph theory and neuropercolation for modeling brain oscillations at criticality. Curr. Opin. Neurobiol. 31, 181–188. Lachmann, M., Newman, M.E., Moore, C., 2004. The physical limits of communication or Why any sufficiently advanced technology is indistinguishable from noise. Am. J. Phys. 72, 1290­-1293. Medaglia, J.D., Zurn, P., Sinnott-Armstrong, W., and Bassett, D.S. (2017). Mind control as a guide for the mind. Nat.Hum. Behav. 1, s41562-017. Papo, D. (2014). Functional significance of complex fluctuations in brain activity: from resting state to cognitive neuroscience. Front. Syst. Neurosci. 8, 112. Thaheld, F.H., 2004. A method to explore the possibility of nonlocal correlations between brain electrical activities of two spatially separated animal subjects. BioSystems 73, 205-216.